In any case, should you or your child ever need an extraction, you can trust Dr. Chandy to handle it, keeping you safe and comfortable the entire time. When performing an extraction, she’ll first numb the area before gently rocking the tooth back and forth so it eventually slips out on its own. She never actually “pulls” teeth! Afterward, you may experience a little bleeding and be advised to not drink through a straw or rinse your mouth for about 24 hours. 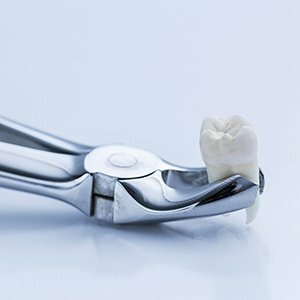 In the case that a permanent tooth has been removed, we’ll immediately get to work helping you select a replacement so you don’t have to deal with an incomplete set of teeth.